Harrods has opened its first pop-up shop, a charity designer were pop-up with the NSPCC at 196 Slaone Street, SW1. It features designer items that have been donated, and is the first time that Harrods has taken over an external space for a pop-up, donated by the property company Cadogan (there have been lots of pop-ups within the store. It's open daily til 13th May - Go to get a designer bargain, and support the work of the NSPCC in London! 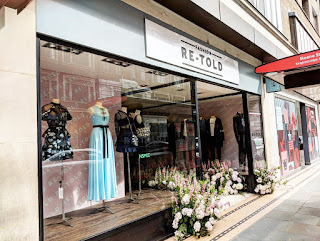 "Fashion Re-told – the first ever standalone fashion pop-up store in aid of Harrods’s long-standing charity partner, the NSPCC – will open its doors from Friday 13th April to Sunday 13th May. 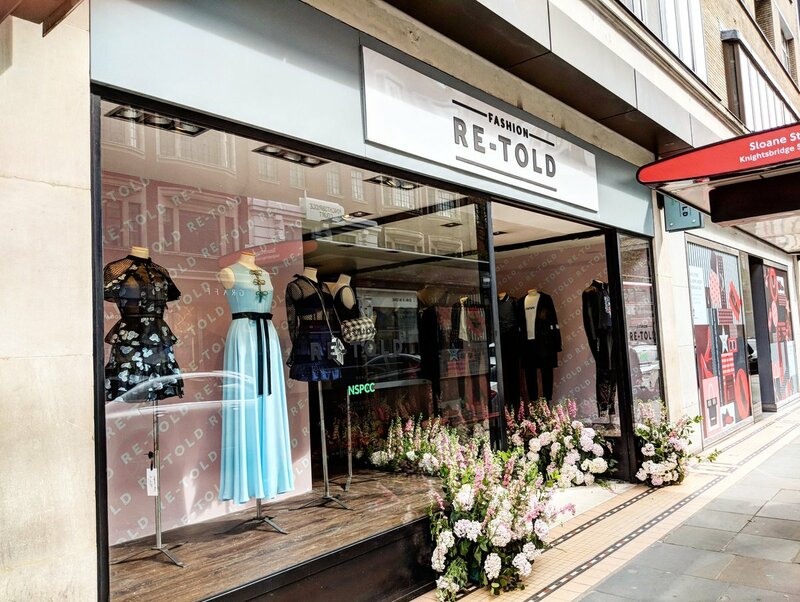 As the ultimate pre-loved fashion pop-up, Fashion Re-told will sell donated designer items to raise funds for the NSPCC’s important work in London. Located at 196 Sloane Street in Chelsea, the concept has been brought to life with Cadogan, who donated the pop-up premises, and supports Harrods commitment to helping the local community. The store will be open from 11am to 7pm from Monday to Saturday and 12pm to 6pm on Sundays."